Designed by leading international architects, South View is a brand-new, British Curriculum School due to open in September 2018. For their premium facilities that include separate and dedicated specialist area for science, for both Primary and Secondary, consisting of 4 laboratories and 2 preparation rooms the school chose 3 of our most popular laboratory furniture systems among international schools: Saturn, Mercury and Xenium Service Towers and Tables for which S+B provided 3D visualisation drawings. S+B will work closely with NMC Trading, our agent in Dubai, Abu Dhabi and Oman. 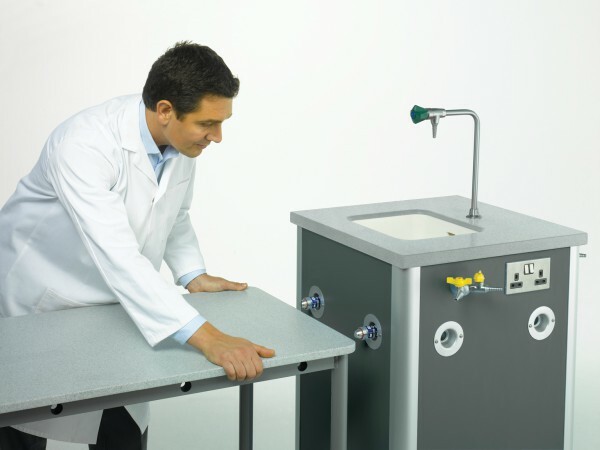 Primary Science Lab features Saturn circular workstation that allow students to work in collaborative groups but also to face the teacher for lecture and demonstrations. 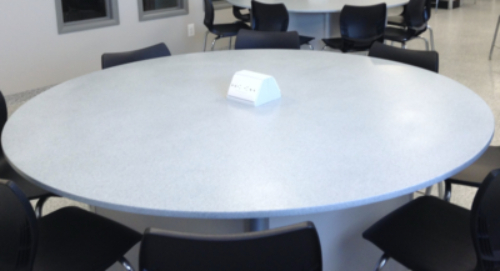 Secondary Science Lab has Mercury ovoid benches that can seat 10/11 students. Secondary Chemistry and Secondary Biology labs benefit from the flexibility of or Xenium Service Towers and science tables and a unique Intercon connection system. Xenium Service Towers and Science Tables with Intercon connection system. 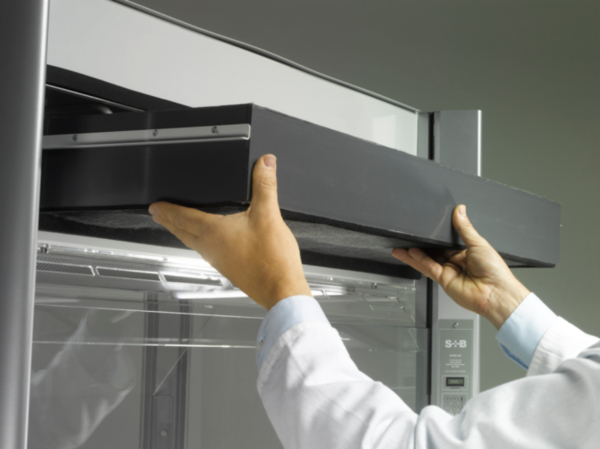 The labs and prep rooms will share our Mobiline re-circulatory fume cupboard with an easy to remove and replace activated carbon filter. All worktops are Trespa Toplab Base, with a combination of Speckled Silver Grey and Speckled Icey Blue colours and cast epoxy sinks. To find out more about these furniture systems download the Pdf brochures from the Saturn and Mercury, Xenium and Mobiline pages or visit our Case Studies page to discover other completed projects.